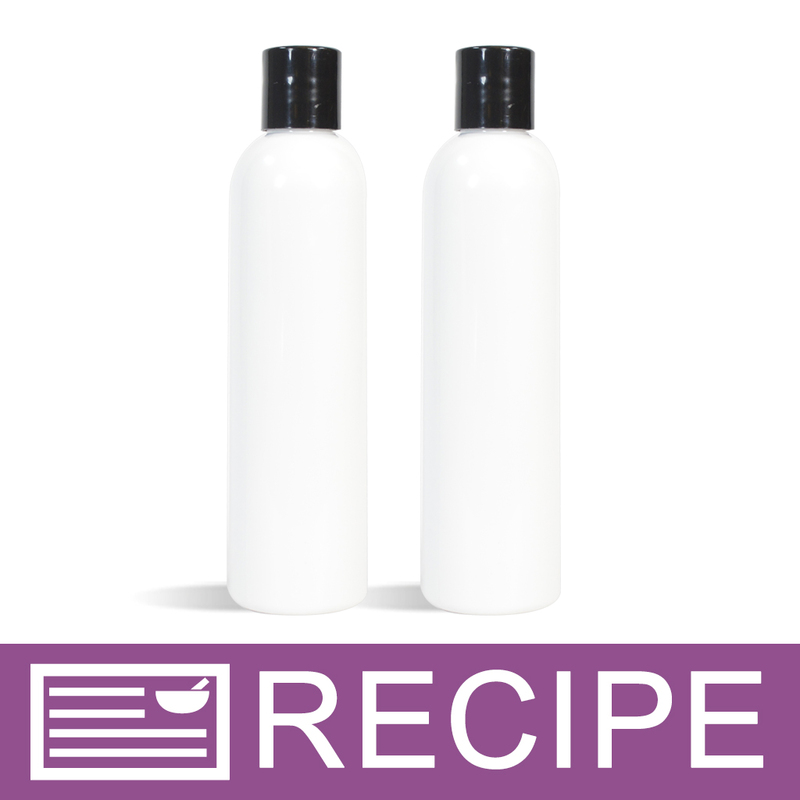 Keep your pet looking and smelling wonderful with our simple shampoo recipe. With rich, penetrating lather this excellent quality shampoo base will help keep your pet’s skin and hair healthy and clean. Pet products are hot again this year. Consider adding this easy recipe to your product line up. You Save $26.10 by purchasing this kit rather than buying the items separately. COMMENTS: Love this kit! This is an easy project to make and the Fragrance that comes with it smells wonderful. I love that everything you need is in one kit and the directions are included. The white bottles Are easy to add my labels to and look nice and clean. Will purchase this kit again. COMMENTS: My dog has never been so soft or shiny. had to make it for all of my pet owner friends and family. Great product. COMMENTS: Easy to make and a great seller with my customers. You do end up being about 2 ozs short for you last bottle. COMMENTS: I bought this and use it on my dogs. For anyone that owns Chihuahuas, they can get a funky taco smell to them. I bathe them weekly in this product. It cleans well, conditions their skin and leaves their fur super soft. The only con I would have is the fragrance, but that is easily remedied, by choosing a different fragrance... But some people might light the baby powder, too. Product quality is great! • Makes their fur, super soft. "Great Shampoo Base for Dogs"
COMMENTS: I have a Golden Retriever/Lab mix and his coat is extremely thick. After using this base with my added ingredients, his coat dried extremely soft and after using a few times his skin was no longer dry and irritated looking. I've also notice he scratches less since using this base. It lathers and rinses well. • I would like to see the ingredients. COMMENTS: This was very easy to make, and I love the Baby Powder fresh scent. I'm very particular on what I use on my pets, and I just love this shampoo. COMMENTS: i love that WSP has pet supply kits, they make great gifts for everyone! COMMENTS: My customers love this! I also use it on my own little canine sons who have white fur, and it always surprises me at how "white" they are after their baths now! "Could you add color to these and they be pet safe?" Staff Answer We would recommend adding a very small amount of color, if you need to color this product. One or two drops of Stained Glass Liquid Dyes would work best. "Can you use a pearlizer in this recipe? If so, hope much for one batch? Also, if you are adding goats milk powder, how much preservative would you need to add? (Just a ratio would be nice). Thank you!!!! :)"
Staff Answer We would recommend starting with one teaspoon per half recipe. A little of the pearlizer goes a long way and can sink in the product if too much is added. If adding the goat milk powder, additional preservative is not necessary. "I would like to sell this product at a non profit fundraiser. How should I label the ingredients?" Staff Answer Our manufacturer does not supply us with the ingredient list. This product is regulated by the Consumer Product Safety Commission and is not required to have ingredients listed on the label. "Is this pet shampoo 'Natural"?" Staff Answer No, this pet shampoo is not natural. "What should I write in the ingredients? Is this a natural shampoo? THANKS"
Staff Answer This shampoo is regulated by the Consumer Product Safety Commission and is not required to have ingredients listed on the label. "Can coconut oil be added to this base? If so, in what ratio?" If you add coconut oil it you will have to add more preservative as it will throw off the already balanced product. "Do you need to add a preservative if you are using a powdered goat milk, without adding water? I've always been confused with goats milk and using the powdered kind"
"Can you add goat milk to this to make it a goat milk shampoo for dogs?" Staff Answer Yes, you can add Goat Milk to it. You would need to add a preservative as well. The amount of preservative would need to cover the amount of Goat Milk you are adding. The Pet Shampoo already has enough preservative for it alone.